The 280 exhibitors at Kellogg Marine Supply&apos;s two-day dealer trade show were quick to tout the budding optimism they heard from dealers who approached their booths. 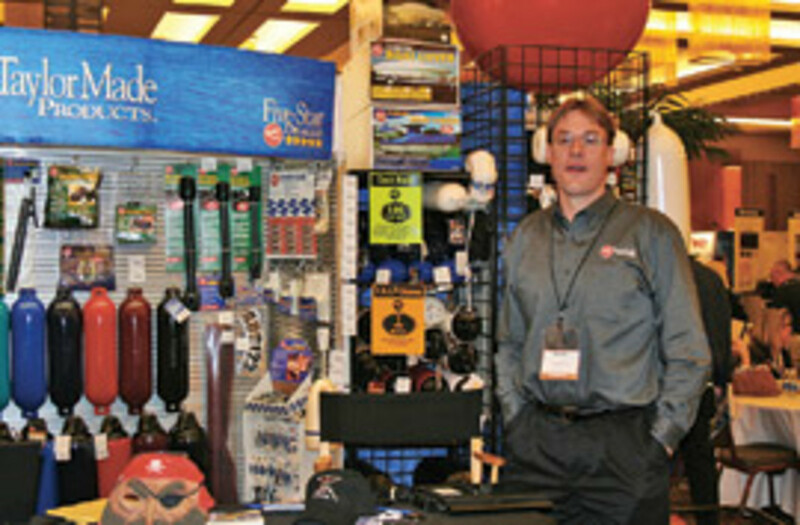 Few of the vendors, however, would venture a guess about what that portends for the spring boating season. "I think it says they&apos;re a little more optimistic about committing to inventory, but still cautious," Chris Brondell, regional sales manager at Johnson Outdoors, said on the last day of the mid-November show at the Foxwoods Resort Casino in Connecticut. "We&apos;ve seen [more dealers] at all of the shows we&apos;ve attended." 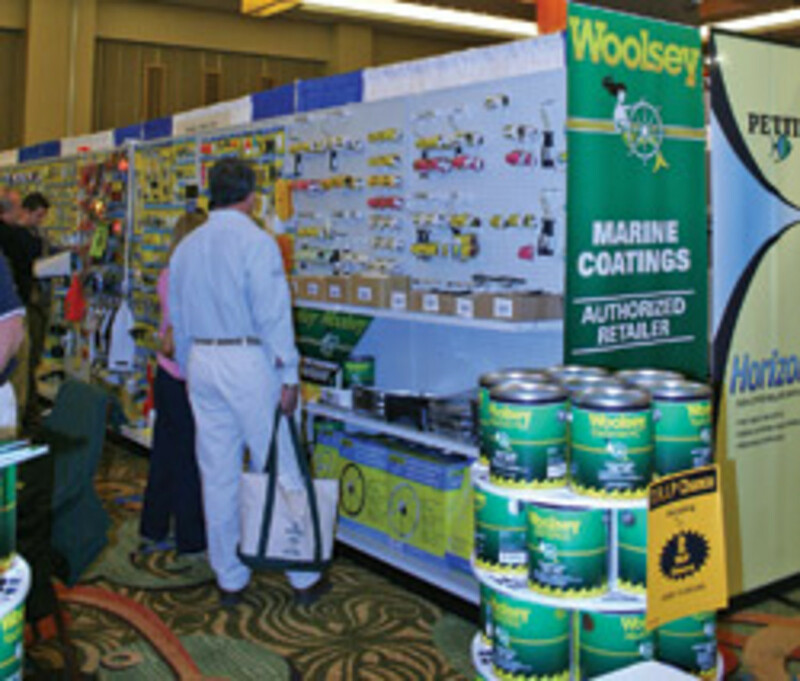 Vendors at the Kellogg show - the last of the fall season for distributors - found dealers ready to buy, but they are cautious as the industry continues to search for signs that the economy is on its way to a durable recovery. Jason Revie, an executive at the manufacturer of Sea Hawk Paints, says dealers were more confident than at the 2009 show and more willing to place orders. He anticipates a "good but not spectacular spring." "I sense a forward motion for sure," says Revie, vice president of sales and marketing at New Nautical Coatings in Clearwater, Fla.
Jason Pajonk-Taylor, president of New York-based Taylor Made Products, says dealers at the show were "doing an average amount of buying. But average feels good after 2009." Taylor says aftermarket sales for the products and accessories manufacturer increased during the last year. Sales also have risen at Johnson Outdoors, a Wisconsin manufacturer of outdoor equipment and watercraft, says Brondell, and his company is confident about the growth it is seeing. "It seems that the industry may have hit the bottom and we&apos;re beginning a slow, steady turn upward," he says. "Slow, sustainable growth is probably what the industry needs. ... Overall, there are some very encouraging signs that we&apos;re going in the right direction." As a barometer for the industry, the Kellogg show reflected the upbeat attitude of those who sense the economy is stirring and that pent-up interest figures to push some people to buy new boats and others to repair and run the boats they have before the 2011 season. Kellogg vice president Bob Staehle says boaters who returned to the water during 2010 increased the amount of service work dealers did. "Coastal weather was so good that people who hadn&apos;t used their boats for economic reasons did so this year," he says. "People were saying they had a better year than they thought they would," says Jared Cass, a technician at East Marine in Falmouth, Mass., which sells and services engines and repairs and services yachts. Cass says the boatyard had what he would describe as an average season. "Only two boats didn&apos;t make it out of the yard," he says. Cass was keeping purchases for the coming spring at the level of 2010 sales - "nothing much above and beyond." Other dealers also were reluctant to place big bets on the 2011 season. "I think everyone&apos;s guardedly optimistic," says Mike Aguiar of Riverview Marine Services in Catskill, N.Y. "Recessions don&apos;t last forever." Aguiar, who has been in business for 34 years, says he was at the show "placing the orders I normally place." Business at Riverview Marine was about the same during the last year as it was in 2009. "I had expected it to be better because of the good weather," he says. "People use their boats differently when they&apos;re watching their finances." Kevin Packard, store manager at Long Point Marine in Duxbury, Mass., says the full-service boatyard and Yanmar dealer had a productive season, though with enough areas of concern to remain a cautious buyer heading into the spring. "The big jobs are down," he says. "The little jobs are up. The need to come [to the Kellogg show] is still there." That opinion reflected what Jim Lombardi, a product manager at Sierra, was seeing at the show. Lombardi says 2010 sales were up 15 percent at Sierra, a manufacturer of marine engine and drive parts. "The bigger customers aren&apos;t stocking as much as they used to," he says. "The guys who need to take advantage of the show prices are buying." Vendors weren&apos;t using high-pressure sales tactics and that pleased Jeff Law, service manager at Boat Works of South Windsor, Conn. "They know what&apos;s going on with the economy," he says. Despite the dealers&apos; cautious approach, Staehle says 60 to 70 percent of the vendors saw sales increases - particularly larger companies such as Taylor Made, Teleflex, 3M and Mercury. He attributes the gains to lower sales volume at last year&apos;s show and dealers&apos; need to restock shelves during the fall after a busy season that caught many of them short of supplies. "This year they placed their orders early," he says. One of the vendors that did well was Turning Point Propellers. "We haven&apos;t had a second to stop talking," says Jason Frey, explaining that the company was giving away a propeller and hub to every dealer at the show. "We&apos;ve doubled our business already from last year," says Frey, who works in information technology and sales for the Illinois company. Long-established companies such as Illinois-based Gold Eagle, the manufacturer of Sta-Bil fuel stabilizers and other aftermarket fluids and additives, have seen business remain consistent during the recession because of steady demand for maintenance products. Matthew Brown, a regional sales manager, says he expects continued sales growth in the spring. "Even in bad times, people are buying our products for the reputation and the name," he says. "We consider ourselves fuel experts - diesel and gas." The show is for the industry, but concern about what consumers are thinking was behind every conversation. The return of those buyers in larger numbers is what everyone wants to see. Bill O&apos;Brien, marketing director at Marine Development & Research, says 2010 business at the New Jersey boat cleaning and teak care products manufacturer was running 10 to 12 percent ahead. "I feel more boats were in the water this year than last year," he says. "And, of course, more boats in the water create more use for our maintenance products. And I&apos;d like to think that next year there will be even more boats in the water."